It’s the 1970’s. The cold war. The U.S. and Russia aim nuclear weapons at each other. How do you prepare for the worst? Why, you build a bunker, of course! Today, [Ian] has done just that. Not a real nuclear fallout shelter, of course, but a period-themed bar called the Bunker Club. What better way to face disaster, than over drinks with the mates! Ian decided to pepper his bar with vintage equipment that looked the part. But he wanted to make them truly functional, to entertain his retro-loving customers. So, he commissioned the Bunker Club VectorClock! 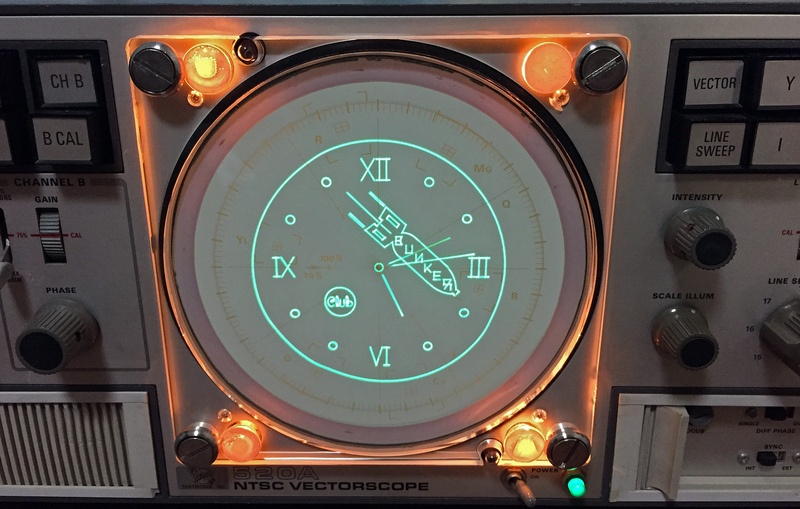 Now, regular followers of the blog will easily recognize the base unit here as a Tektronix 520A Vectorscope. 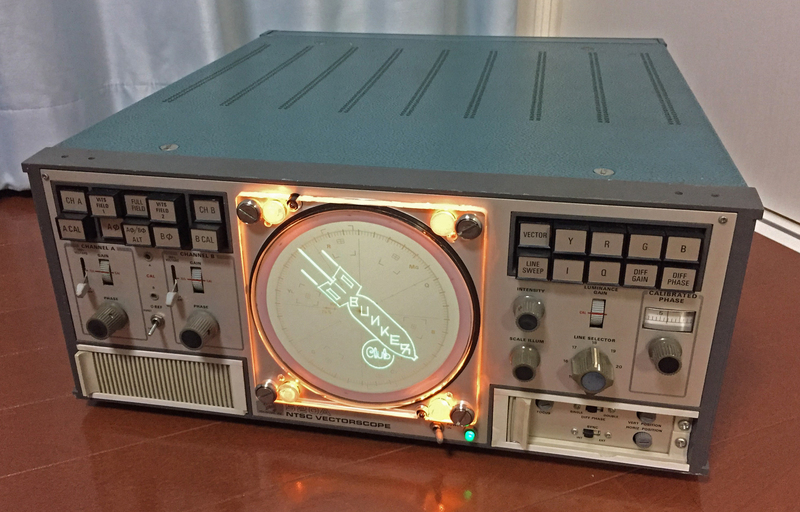 So far a total of four of these delightfully-lighted machines have been converted to retro Oscilloclocks – see the Gallery for other examples. But as always with any model, Ian wanted to make some cool customizations. Let’s look at two of them. 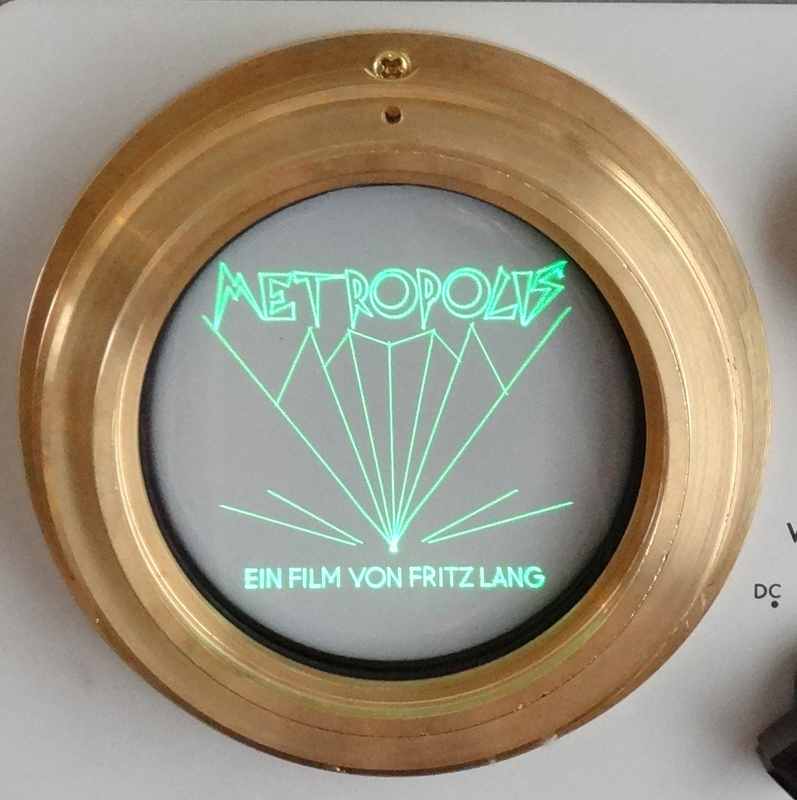 First introduced in the Metropolis Clock, this feature allows Ian to input two signals and visualize them in X-Y format on the screen. 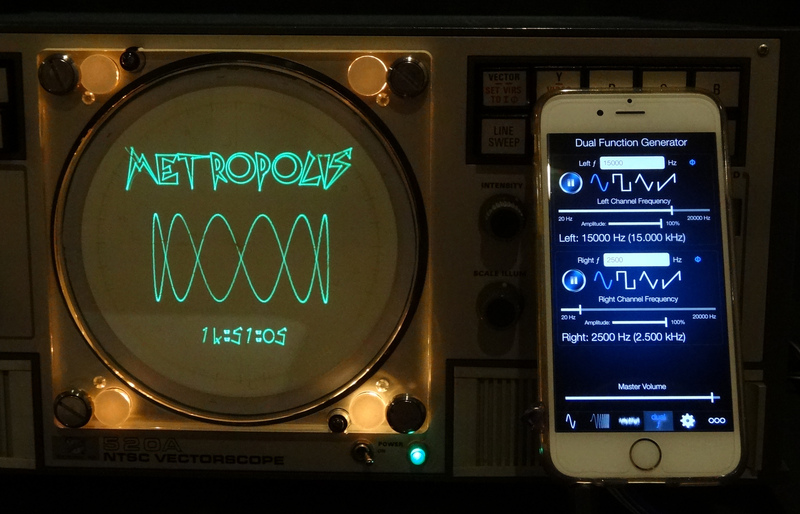 This is very, very useful for generating custom Lissajous figures externally – using either a cheap signal generator, or even an iPhone! 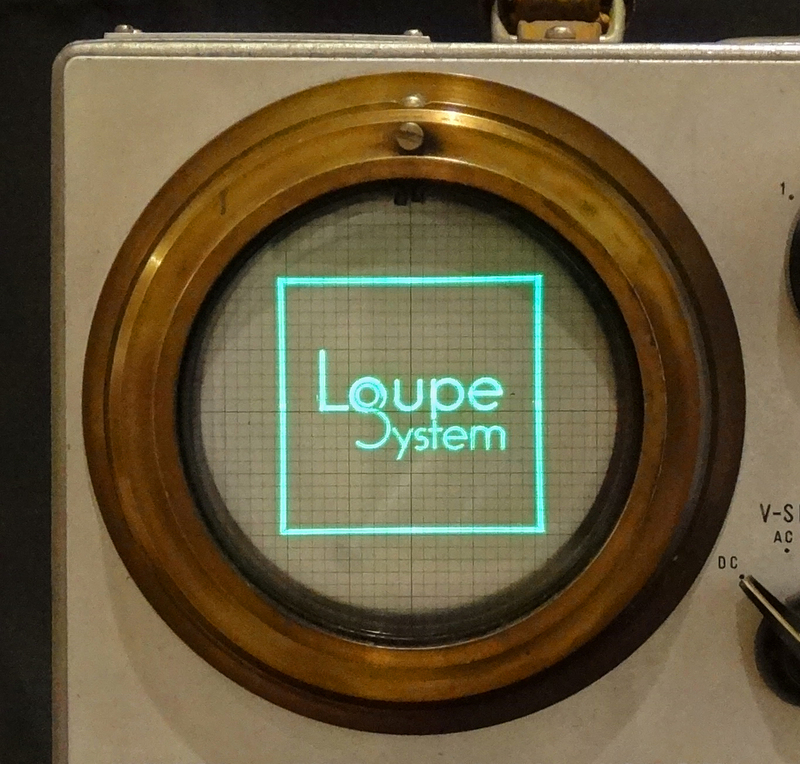 The external signals are rendered within a rectangular ‘window’, pre-configured to look nice alongside other standard parts of the Oscilloclock screens. For some screens, the window is drawn large but with a lower intensity, forming a kind of ‘watermark’. This is an awesome effect! In Ian’s case, the obvious candidate was his new bar’s official logo – a very chunky-looking rocket blasting through the atmosphere! It seems Ian enjoyed his first clock so much, that he has commissioned a second, with a completely different physical look. Some further special effects and display animation are planned, to further enhance the nuclear theme and keep his customers happy. Stay tuned! Do you own a bar? Well, normally you wouldn’t want a clock in your premises, as it would help customers keep track of their time, which would be bad for business. But Oscilloclocks are so much more than timekeepers! Recent feature additions make them lots of fun to watch and fiddle with. If you have special ideas, let me know! This entry was posted in Features, Showcase and tagged atomic, bunker, CRT, fallout shelter, nuclear, Scope Clock by Aaron. Bookmark the permalink.